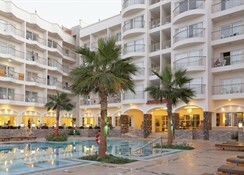 Royal Star Beach Resort is a seafront resort offering contemporary rooms with complete range of amenities. The rooms in the hotel are bright and comfortable. 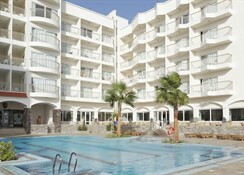 Guests can take a refreshing swim in the swimming pool and relax on the sun loungers spread across the pool. Those who want to relax and rejuvenate themselves can step into the fully-fledged spa with expert masseurs. The well-appointed onsite restaurants offer international as well as local delicacies. Those who want to indulge in water sports can go to beach, which is just a few steps away. 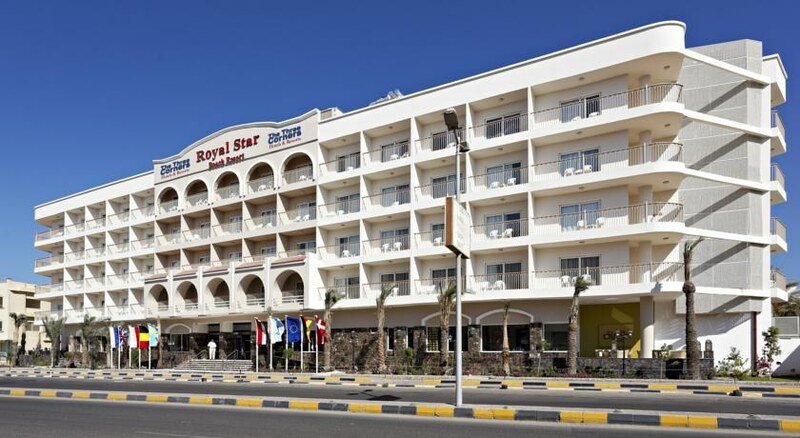 Royal Star Beach Resort is set on a quiet area in Cornish Street in Hurghada. 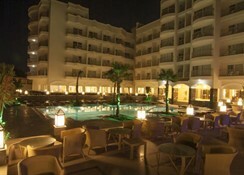 The hotel is near the town centre and a plethora of lively bars, pubs and excellent restaurants. The Hurghada International Airport is only 12.1km, making it convenient for the guests to board their flights on time. 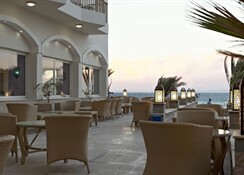 The rooms in the hotel are categorised as Double or Twin Room with Partial Sea View, Triple Room with Partial Sea View, Single Room with Sea View and Double or Twin Room with Partial Sea View - Egyptians and Residents Only. All the rooms have all the facilities that include air conditioner, flat screen TV, double bed, table, chair and much more. 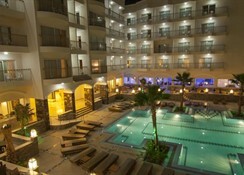 The resort comprises a restaurant, bar and a snack bar. The buffet restaurant serves breakfast, lunch and dinner. The onsite bar serves a variety of beverages. The snack bar is the right place to be for grabbing some quick bites. The hotel offers in room service. The sports, leisure and entertainment facilities in the hotel include water sports facilities (extra charge), ping-pong, snorkeling (extra charge), karaoke diving (extra charge), library, darts, windsurfing (extra charge), pool table and much more. The hotel has a dedicated entertainment team. There was so much to do. The history of the place was amazing and the animation team was so great. We went out most nights with them which was fun and the entertainment is great fun! I want to go back it was wonderful. As a frequent solo female traveller to Egypt, I must say how much I enjoyed my seven night stay at The 3 Corners Royal Star. What impressed me so much was how often the hotel Manager was seen talking to guests wether in the restaurant or at the beach bar and he was genuinely interested in what the guests were saying. I treated myself to a course of massages in the Spa during my stay and I could not recommend the therapist enough. The hotel is not large, but my room was spacious and well kept and I found all the staff to be courteous and polite and eager to help. So glad Teletext holidays found me this perfect little gem for my holiday!